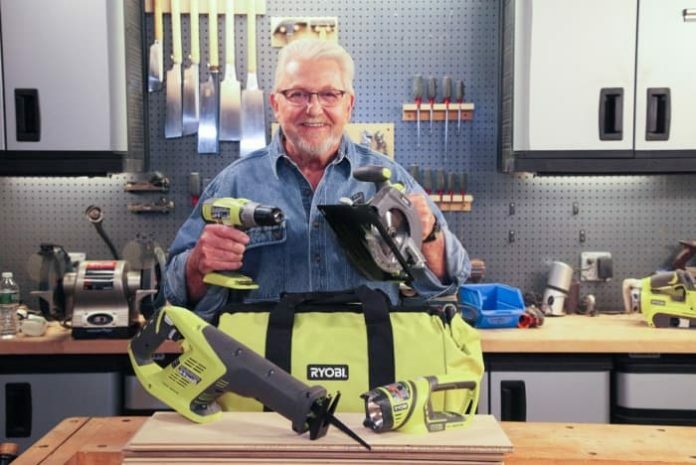 Ron Hazelton, a leading authority in the do-it-yourself home improvement field, is giving away a serious combo-kit for the dedicated and determined DIYer during this week’s Ron Hazelton Sweepstakes. Find out how to enter below and participate for your chance to win a Ryobi 18V Lithium Combo Kit including a Drill, Circular saw, Reciprocating saw, Work light, Two high-capacity lithium-ion batteries, and High speed charger. Visit RonHazelton.com/Sweepstakes during the Sweepstakes Period. Confirm that you have read and will abide by the Sweepstakes Rules. Upon completion of these 6 easy steps, you will be automatically entered into the current Ron Hazelton Sweepstakes. Eligibility: Must be 18 years of age or older, unless otherwise stated and/or posted. Promotion Period: Sweepstakes runs weekly from Saturday at 12:00 AM until the following Friday at 11:59 PM. Limit: Only one entry per e-mail address, per week will be considered for contest entry. For complete details about this Ron Hazelton Sweepstakes, please read the official rules.